Who Was the Real Dido Elizabeth Belle? What historical records say about the mixed-race heroine of a new film. Have you seen the movie yet? If not, do you plan on it? I sure do! Posted on May 21 May 21 Categories Buzz, Finds, Facts & FunTags bi-racial, biracial, discrimination, interracial, mixed race, movie, multiracial families, multiracial family1 Comment on Who Was the Real Dido Elizabeth Belle? Here is a tiny treasure that I found in the library this summer. A book of poems, All the Colors of the Race , written by Arnold Adoff. Based on his own interracial family, Adoff writes from the perspective of his biracial (black/white) daughter, which I find very interesting. At first I was a bit thrown off because I generally prefer poetry to rhyme, however, his style is considered “free verse” poetry. The more I read (and re-read) them, the more I fall in love with them! I hope you do too. And I said: a woman. And I said: a girl. to make it hard for her. 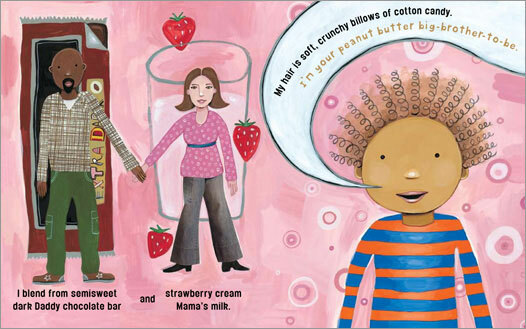 Interracially married, author/illustrator Selina Alko came up with the idea for this book while pregnant with her first child. 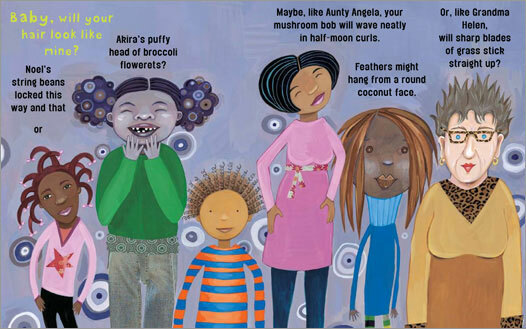 She wondered what the child might look like–and created a darling children’s book that reflects the many possibilities. 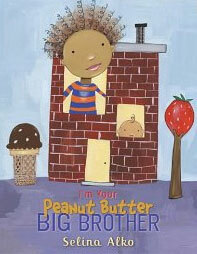 (from the book) Big Brother wonders whether the new baby will look like him. He blends from semisweet dark Daddy chocolate bar and strawberry cream Mama’s milk. He’s the baby’s peanut butter big-brother-to-be. Will the baby’s hair look like big brother’s soft, crunchy billows of cotton candy, or Noel’s string beans locked this way and that, or Akira’s puffy head of broccoli flowerets? Will the baby’s eyes match big brother’s–hot cocoa footballs set wide apart–or will they be a perfect pair of pennies? I LOVE, LOVE, LOVE the illustrations! This will be a favorite in our home for sure! Order here. 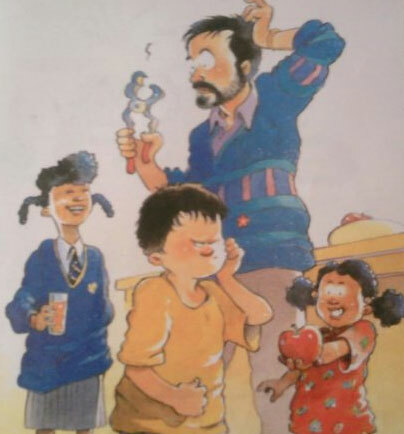 One of my favorite things about this author (aside from his books being hilarious) is the fact that he incorporates diverse families in the illustrations. This family appears to have a white mother, white father, white child (Andrew) and two brown children. 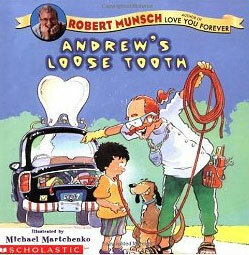 Andrews best friend is Asian, the Tooth Fairy is brown and the people in the city are are very diverse. Read it, let me know what you think! 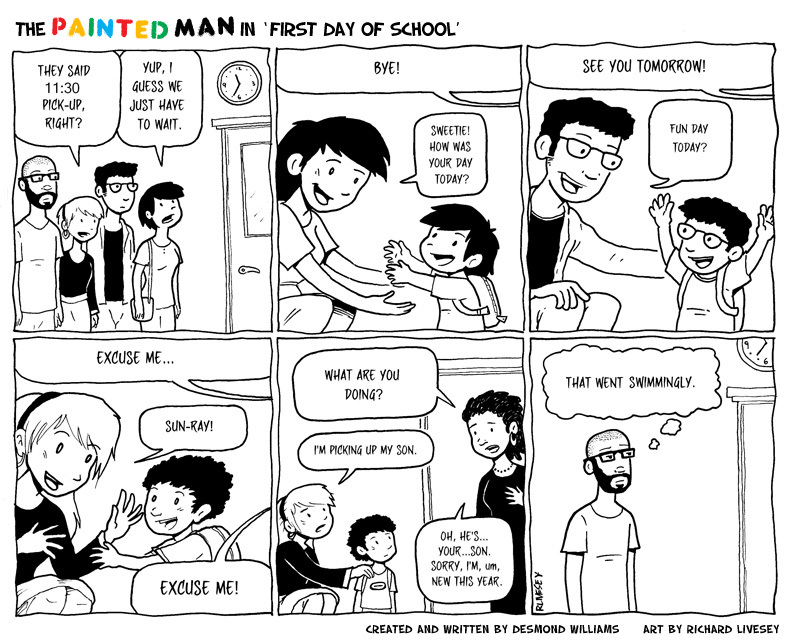 Father in a multiracial family, Desmond Williams, puts pen (pencil) to paper and creates a soon-to-be-published graphic novel The Painted Man: What My Young Son Taught Me About Race. The collection is a “coming of race” memoir that finds a dad confronted by racially charged questions posed directly by his young son and the people with whom they come into contact. This book can be used as a conversation starter, a self-reflection inducer, or simply a window into an experience that might not reflect your own. BTW, I found it interesting that Williams is from Brooklyn, NY. I would have thought “they” were much more versed in this thing we call “race”. It’s encouraging to meet others who share similar experiences. Will you please tell us a little about your multiracial family? Where are you located? How did you find us? One of the best surprises I’ve had in my life…that’s what Blakely is! 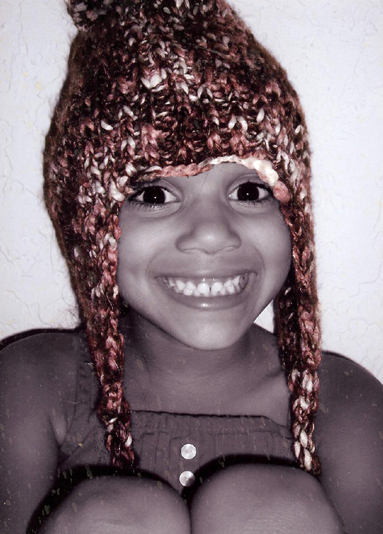 Born September 8, 2003. I was 35 when I had her and we have truly enjoyed this precious gift. She is FULL of life! She loves to sing, dance, run, play dress-up (the girl changes at least 4 times a day), and she also crushes on the Jonas Brothers (her favorite is Joe). She LOVES all things Princess Tiana! She is definitely a “daddy’s girl” but I like to think that she’s also a “mommy’s girl” too! We have had some unique experiences with Blakely regarding race that I look forward to discussing at some point. She is truly a joy that keeps us on our toes! (Many have asked if we’re going to “try for a boy”. When Blakely was around 2, we had some serious discussions about adoption, but now that Sydney is getting ready to go to college, we wonder if we’re prepared to start over. Suffice to say, it’s still a desire that I pray about). Yes, I'm really just showing off her dress!